$15 off the regular price of your next completed in-home repair service (parts and labor). *Not valid on prior services, preventive maintenance, not valid in conjunction with other coupons, tech add-ons or preseason specials. One discount per repair. Void if copied, transferred or obtained through channels not approved by Better Care Appliance Repair. Any other use constitutes fraud. Present this coupon to receive discount. 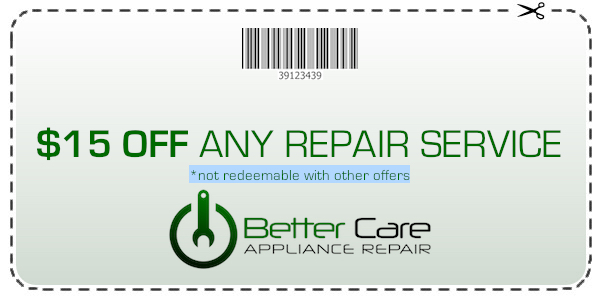 Better Care Appliance Repair Provides Service across Vancouver’s Lower Mainland!